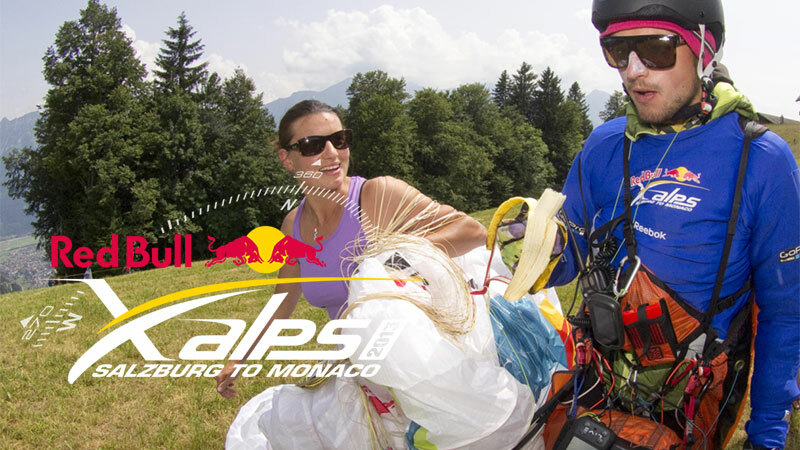 Aaron is a professional paragliding pilot as well as one of thirty athletes selected for the Red Bull X Alps competition. He was born in 1986 in Merano, a city surrounded with some of the highest Italian mountains. This gave him the passion for all Alpine sports including paragliding, speed riding, mountaineering, skiing or ski touring. 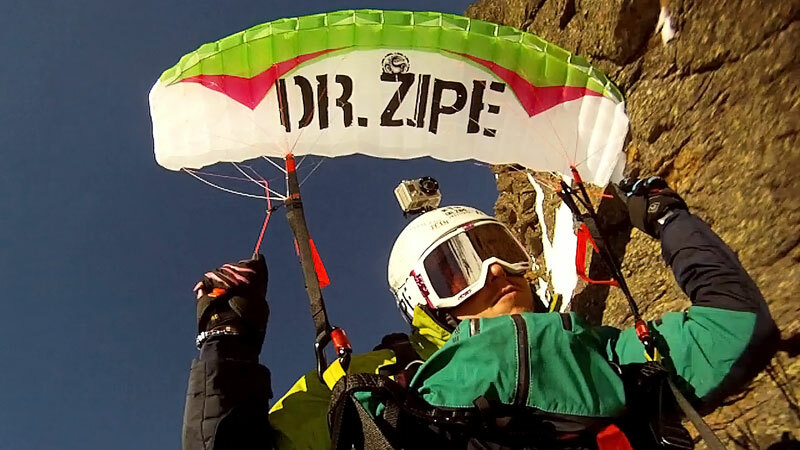 Aaron holds paragliding and ski instructor licenses and is a trainer of the Merano ski-team. 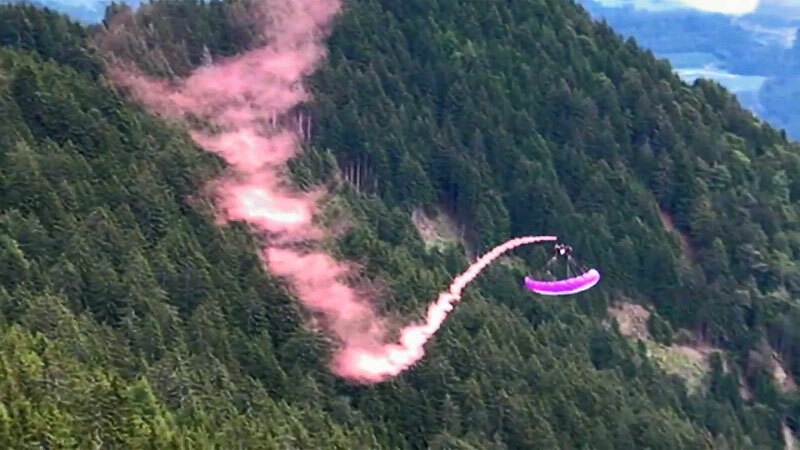 Apart from being a competition paragliding pilot, he is also supporting Gin Gliders with testing and developing gliders. 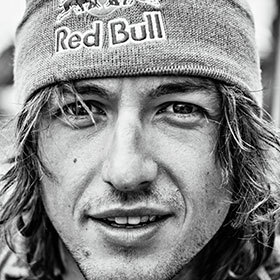 Among many podium finishes through out his short career his biggest achievement is winning the Paragliding World Cup Championship, the most valued trophy within the paragliding sport. Back to back victories for Aaron in the prestigious multi-sport Elements competition after great performance in his paragliding disciple, helping his team to reach second place overall for the second time! Reaching two times Monaco after a long battle from Salzburg and more than 1000km of air distance is a dream come true. 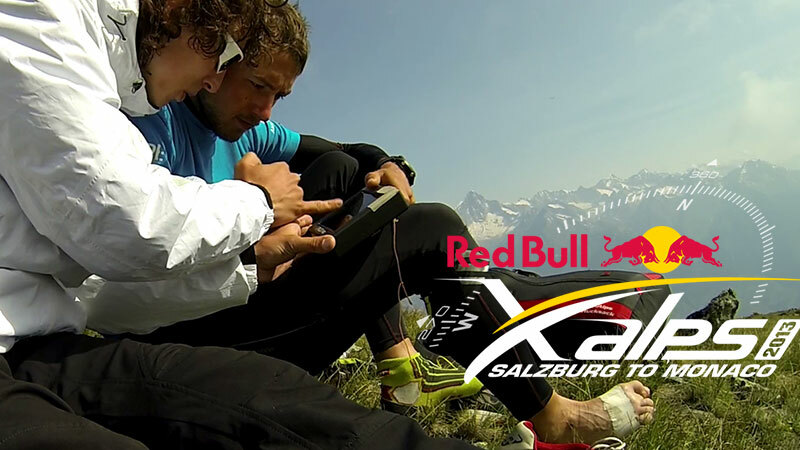 X-Alps is a hike and fly crossing of the whole Alps mountain range. 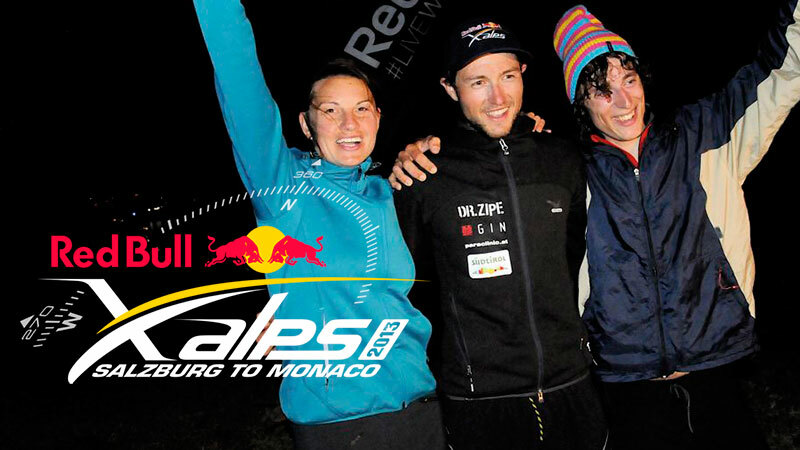 Not only that this adventure race is tough but also bring strong emotions. In 2013 The Italian team arrived in Monaco 7th and in 2015 on the 6th place! In the world’s toughest team competition Aaron had a big result right in his first appearance finishing on podium and getting even one better in 2016 finishing 2nd! A gigantic 42km ski-touring racetrack in the Dolomite Alps has an altitude gap of 2800 meteres! Aaron entered the comp in a mixed team with Italian ski mountaineer Tamara Lunger grabbing a stunning first place. 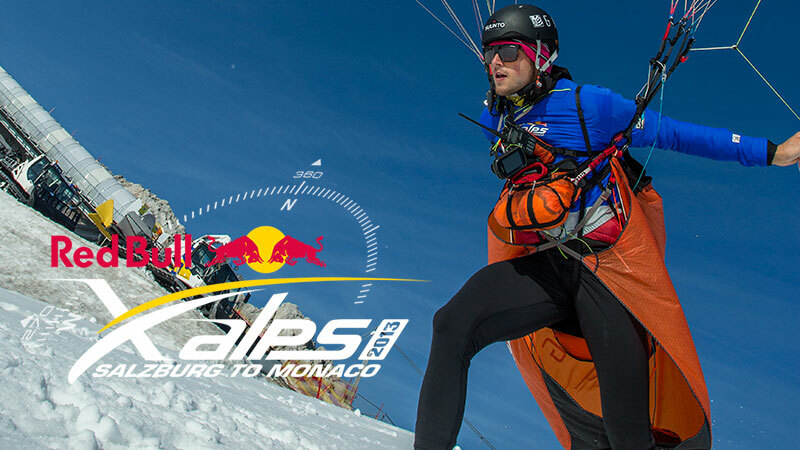 After X-Alps the X-Pyr Pyrenees crossing is probably the second toughest adventure paragliding races in the world. Aaron got inured on the second day during hiking down a muddy slope and the race seemed to be over. The team did not give up and after a few big flights Aaron crossed the finish second. In 2016 Aaron was fighting with stomach problems during his last day and finished 3rd. After incredible *9 tasks and fifty hours in the air Aaron Durogati won the 2012 PWCA Superfinal in Colombia. He beat second Michael Maurer by hefty 30 points. Both Aaron and Michael were flying the new Gin Boomerang 9, which shows the tremendous performance of this glider. Gin is back! Bad weather hit Italy during this competition. Overall just one task with ultra-weak conditions and tricky turning points. None of the pilots reached goal and Aaron managed a 3rd place just a few meters behind the leaders. 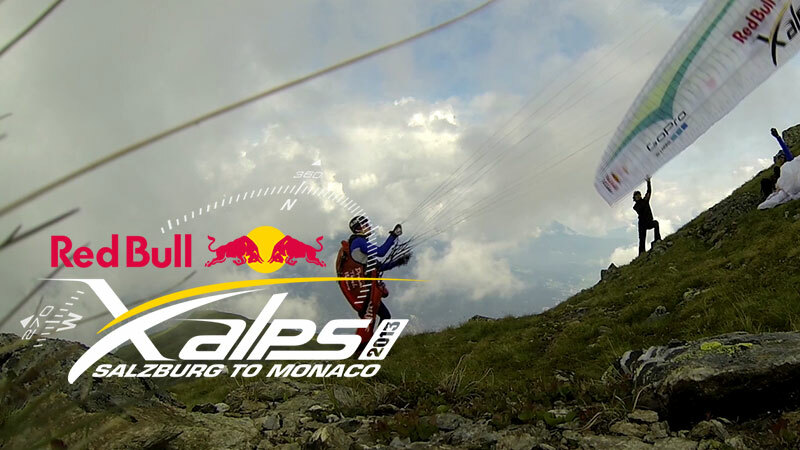 The first speedriding competition in Italy with beautiful weather, fresh powder and good terrain. An interesting line which Aaron enjoyed a lot. During the Bronzo Trophy only one task was flown. The conditions were pretty rough. In the final glide Aaron was pushing the bar as much as possible to overcome all competitors and take the first place. Alatus Trophy was the first podium on Gin’s Boomerang 8. The whole comp had just two tasks with very weak conditions. Actually the first task determined the whole competition result as only two pilots arrived in goal. The weather was not ideal during this competition in Austria. Out of 12 days there were only three tasks flown. Aaron was representing the first time his nation and it was a successful 1st place for the ITA team. Aaron came to Korea for test-pilot work for Gin. As a coincidence the Korean Championship took place and Aaron took part of it. After winning almost all the task he took a final 1st place. In the pre-PWC event in Portugal Aaron started very well in the first two tasks, winning both of them. The comp had a very high level and it was a surprise, that Aaron was flying alone in front a lot. Interestingly it was Aaron’s last comp with NOVA performance gliders. Big achievement overall first place! 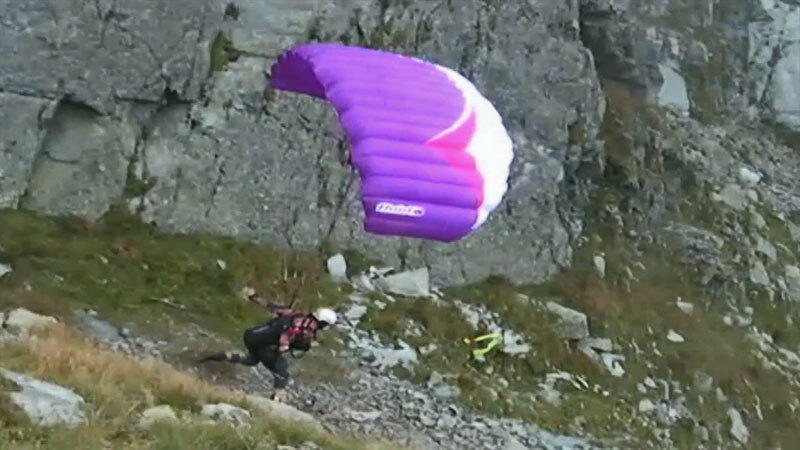 The first competition with Gin, the Boomerang 7 proto, an amazing glider with top performance. Back then it was the first superfinal ever an Aaron missed the podium just by a few points. There were not so many task flown and the conditions were sometimes tricky and super weak. Aaron’s first appearance on the World Cup scene. It was a big a success to manage 2 podium tasks and an overall 4th place in the whole comp. Conditions were very strong with very strong wind making it pretty challenging. Here came also a first meeting with Gin, which started a long relationship. 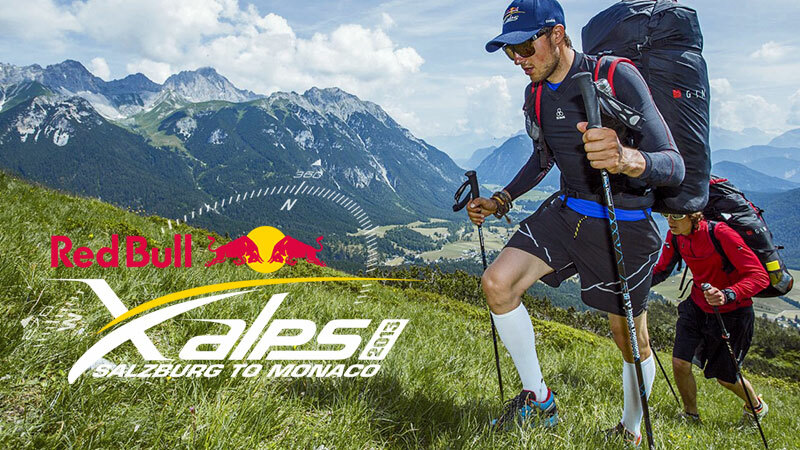 Follow Aaron's first day of the toughest adventure race crossing the Alps starting in Salzburg. 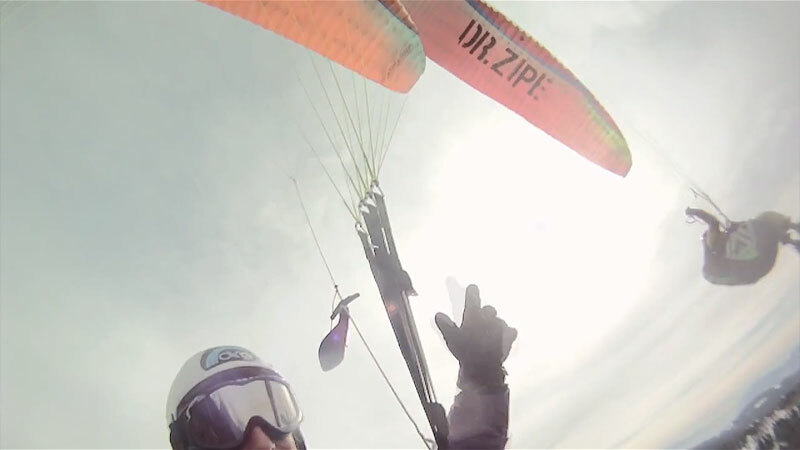 In the second day we do a big flight and try to chase Chrigel in the first place. During the third day we had to push hard on the road to pass Innsbruck CTR on road and get to a suitable takeoff early in the day. 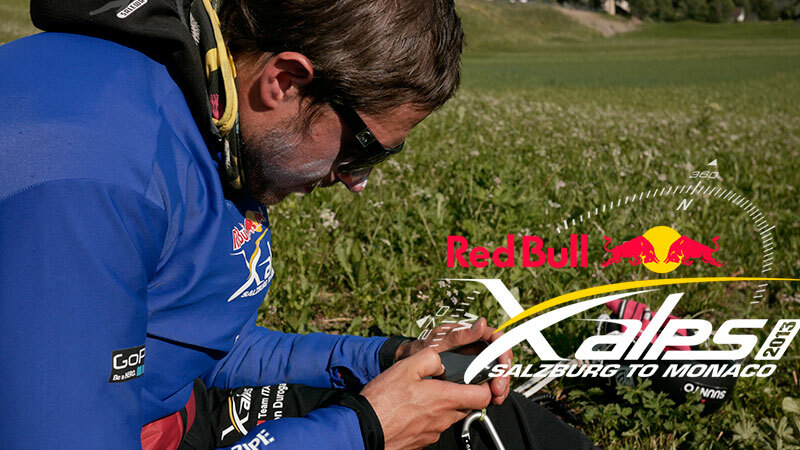 During the fourth day we have a mission to pass Austria and got to Switzerland as quickly as possible. On the 8th day we plan a big flight to get out of Switzerland and enter France around turnpoints Matterhorn and Mont Blanc. Aaron's profile movie following all his extreme Alpine passions, also presenting the new speed ride project. In autumn 2012 Aaron Durogati presented a new acro manouvre.. a tumbling-antirythmic-helico connect! 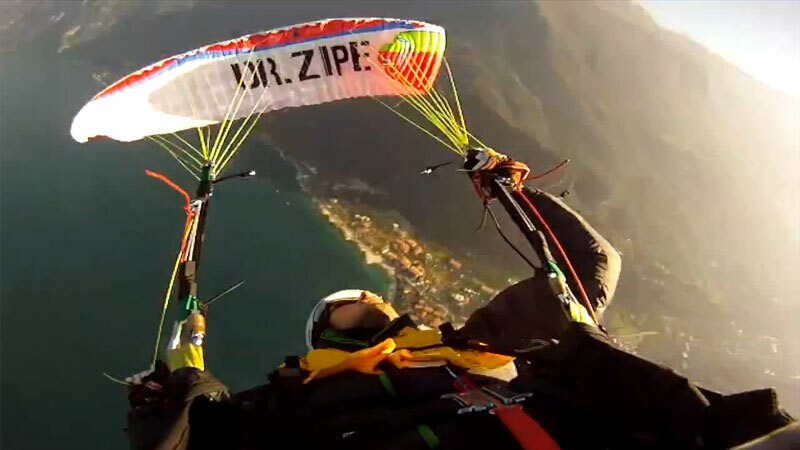 The Ifinger speedflying project.. the first speedfly descent of the Ifinger mountain in Italy. 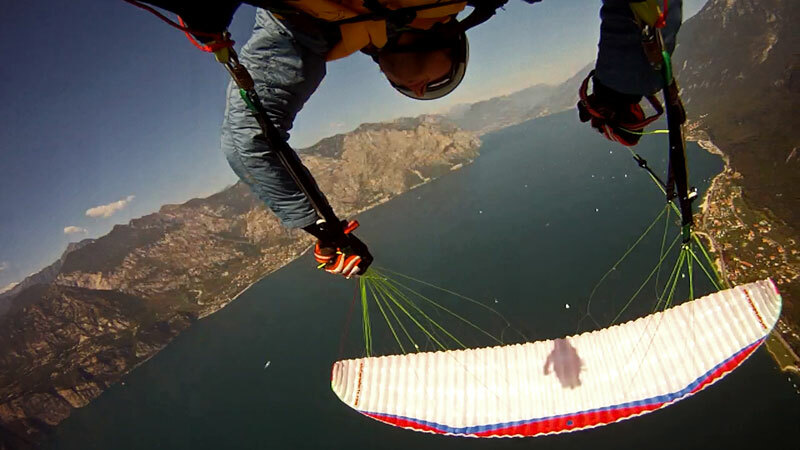 Acro training at Lake Garda in Autumn 2012.